A few more details ahead of the game's Thursday Japanese release. 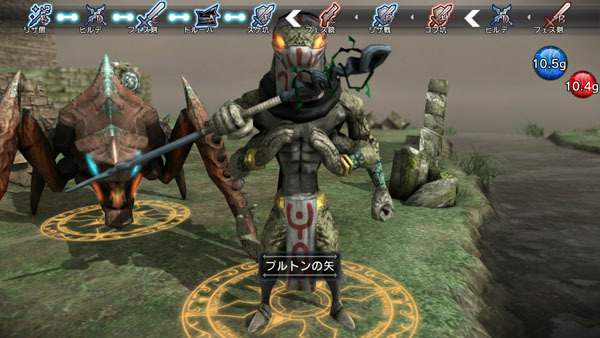 Kadokawa Games has shared new details on Natural Doctrine ahead of its approaching release. In online mode, you can battle other players using an original deck of card-based units you’ve collected and assembled. The card’s original status, equipment, and skills are identical to what they are in single-player mode. But each card’s cost, size, and amount of Pluton possessed are critical in forming a deck. Construct a deck with the cards you have. Search for a battle or co-op room, or create your own and invite your PSN friends. Be awarded “Card Points” (CP), which can be used to buy new card packs. Each card has a maximum size of eight. There are cards with fractional sizes, like 1.5. There is a limit on the total cost of cards per deck. During co-op play, one side only uses a mini-deck. Natural Doctrine is due out for PlayStation 4, PlayStation 3, and PS Vita in Japan this Thursday, April 3. View a new set of screenshots at the gallery.